The traditional village of Comares, in the Malaga Provence, Andalucia is known as the ‘balcony of the Axarquia’, famed for its stunning views and mountain top location. Less than an hour’s drive from Malaga, uphill into the mountains, it’s a great place to go for a day trip. You can see Comares perched on top of the mountain from miles away as you approach along the MA-3107 and then the winding MA-3105. Upon arrival there is a small car-park at the entrance to the village through a Moorish style gateway. You can head up the steep steps through the wall, or continue through the gateway and along the road. Once through the gateway there is a small play park, great for the kids to stretch their legs after the drive up. A little further up the hill there is a lovely plaza with a bar, hotel, town hall and balcony complete with telescope. The views from the balcony are pretty fantastic. Look South towards Velez Malaga and the Mediterranean. Look East towards the peak of mount Maroma. Wow! Once a defensive bastion, the village was founded by the Greeks and like many other whitewashed Spanish villages, Comares also has a Moorish history. The historic narrow streets have ceramic blue and white tiled footprints on them ‘The Footsteps of History’ which guide you to various information boards; leading you towards the ruined castle and cemetery and then back towards the plaza. A great walk to see the whole village and a unique way to keep the children really interested in running around the village to find the next footstep! There are a few shops here and a Saturday market, but certainly no souvenir shops, as yet. 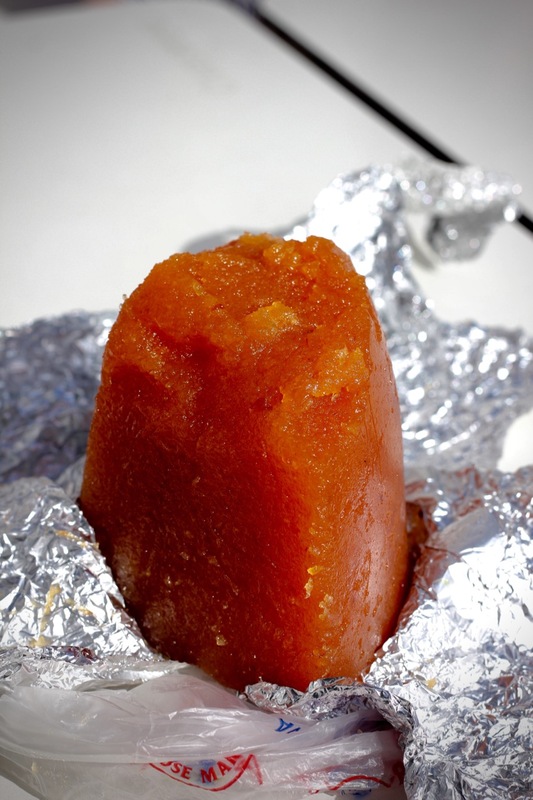 The local Sénoras whistle for your attention and invite you into their homes to purchase some fresh fruit, veg, homemade soap or in our case a chunk of ‘autentico Membrillo’ (Quince Jelly). The village also has information boards of the walking routes in the area. One of these boards is near to the village gateway if you find the small tourist information office inside the arch is closed. Each of the routes are colour coded and range from one to ten hour treks, including easy to hard intensity. One of the routes (Raisin route) is a sixty two km driving tour! Comares is so close to Malaga that you expect it is be busier and more touristic but it seems yet untouched by commercialism. Wonderfully located with spectacular views of the sea and mountains. A traditional whitewashed Spanish village that you should go to now, whilst it still retains its charm and remoteness from modernism. Andalucia is a huge area, great for exploring, we are really enjoying exploring it. We went to see flamingos at a lagoon today. Of all the villages in have visited in Andalucia, our boys really enjoyed Comares, especially the footprints! Thanks, glad you like the posts. The footprints were something a little different, simple but effective. What a fantastic view from the balcony. I also really like that keyhole shaped gateway! Thanks for the comment, there are such great views all around Comares. We like the Moorish style so often seen here, Cordoba especially . Beautiful views and nice to see and read about somewhere that is a little off the beaten track in terms of being overwhelmed by tourists. Thanks for commenting Mainly, it really is a fabulous place to go and see a Spanish traditional village! The Costa below Comares is very touristy but somehow , probably because if it’s hilltop location, Comates has escaped mass tourism. It really is worth a visit whilst it’s still a traditional village. I’ve only started to discover Andalucia with our trip to Seville at the end of last year. Comares sounds idyllic – I love the idea of buying things from people’s houses rather than souvenir shops. 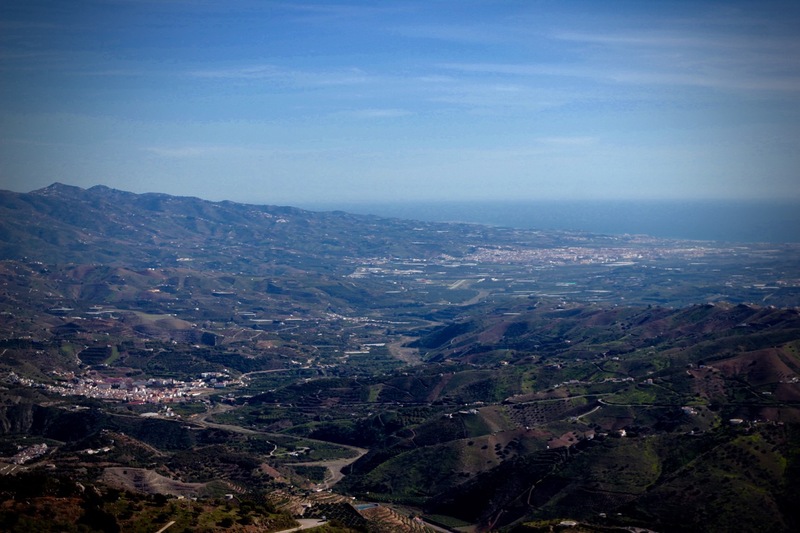 Andalucia is such a huge area, even though we live here is so much more to see and do it’s going to take a while yet! The sênoras in Comares are astute business women, they know how to get a sale!